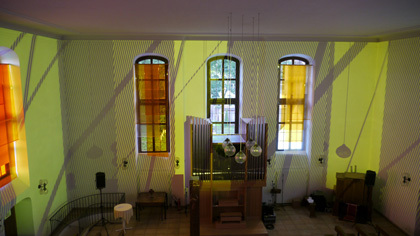 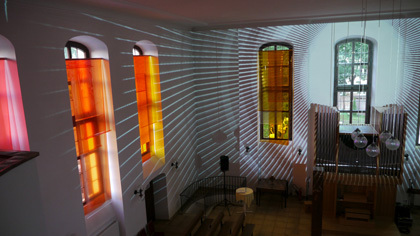 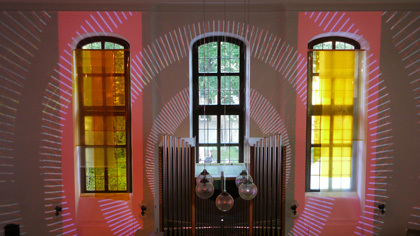 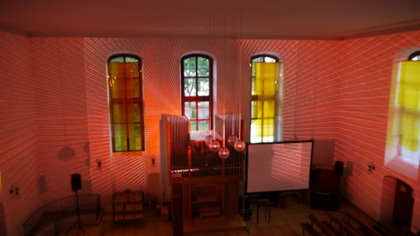 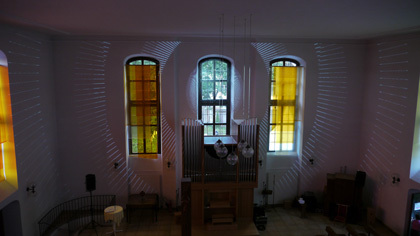 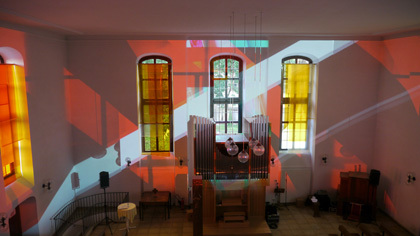 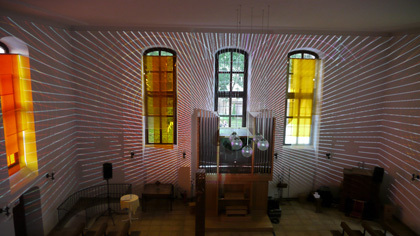 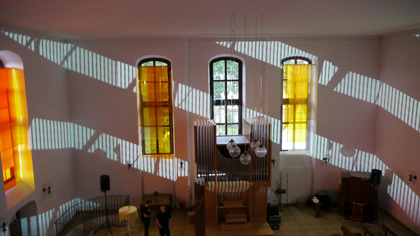 Bauhausmaschine was comissioned to develop a Light- and Videoinstallation for the period of three days during the 33. 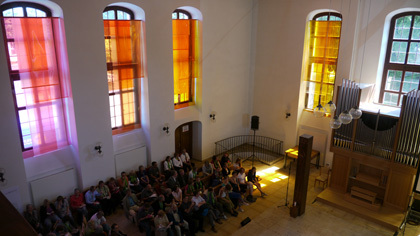 German Protestant Church Meeting in the “Church of Culture”. 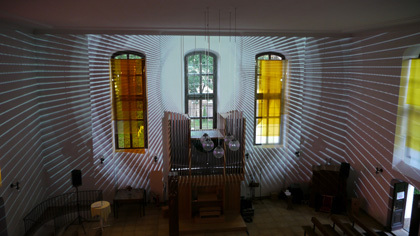 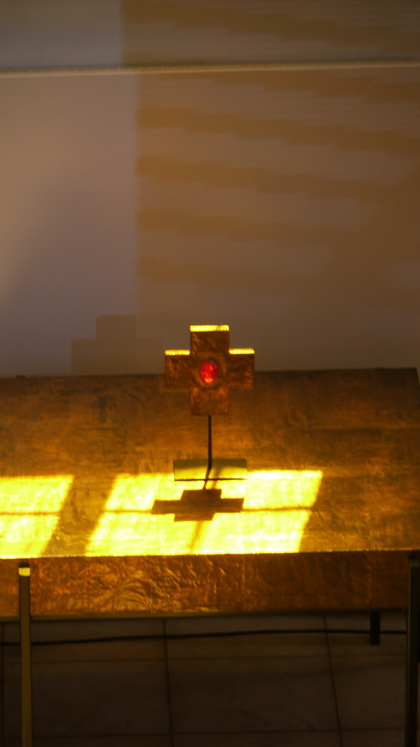 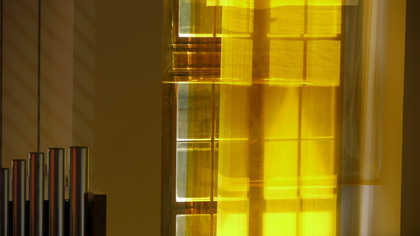 The idea was to play with natural sunlight as well as with artificial video light. 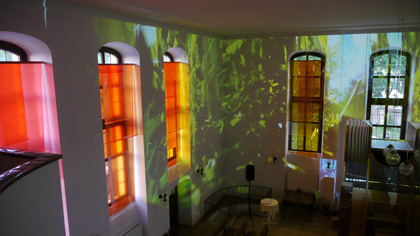 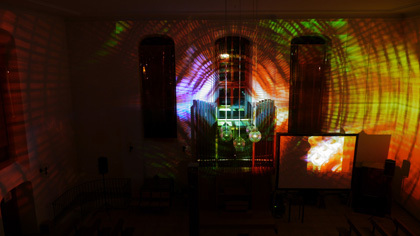 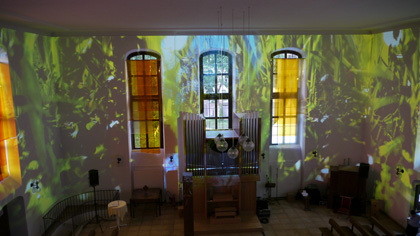 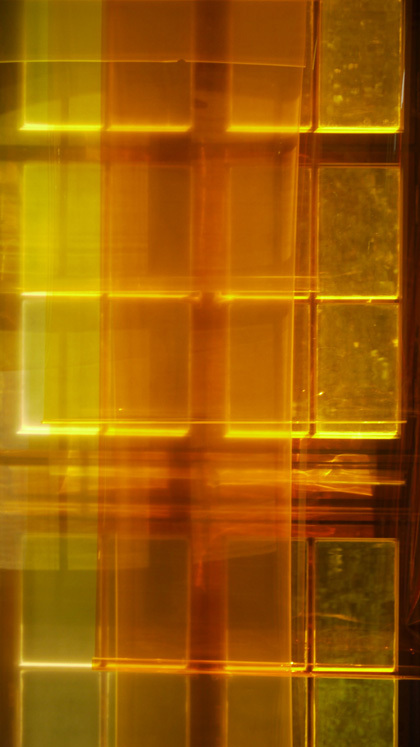 To achieve that, the windows were covered with lighting color filters, that transformed the sunlight into a colorful projection, while dampening the outside light enough, to make the video projections visible during daylight. 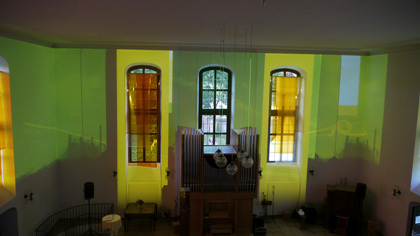 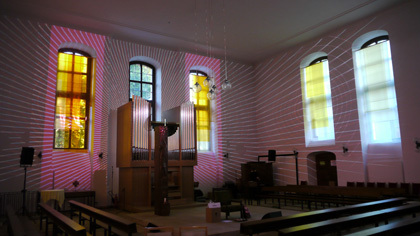 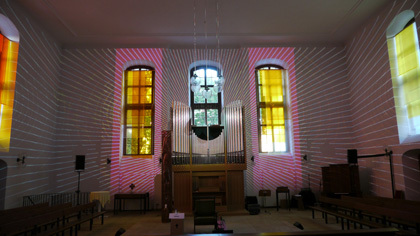 The color installation was executed by Beate Baberseke-Krohs, a textile and paramentics designer from the Paramentics Workshop Neudettelsau.